After the success of last year’s inaugural event, this year Savvy and GraffitiCompany collaborated once again to host Hong Kong’s 2nd annual Creative Leadership Breakfast (CLB). As an invitation-only event, the CLB intends to bring together business leaders and creative minds that shape our creative community. This year, guest speakers were carefully selected to join a panel discussion to share their insights amongst an exhibition of street art called Gone Fishing! by Szabotage of GraffitiCompany. The exclusive, non-profit event was free to attend with coffee, refreshments and a light breakfast served over networking. *Connecting the digital world to physical reality and bridging that gap creatively, effectively and seamlessly. *Straddling the role between being a creative and being a leader. *How to hire creatives. What that 'gut feeling' really is and how it can be honed. *How much design is valued or as the case may be, undervalued, in Hong Kong, and maybe in China as well. *Design in Hong Kong often playing catch-up, rather than trailblazing, why that is and what can be done. Abby Zhang co-founded YEECHOO in 2014. YEECHOO is Asia's largest online designer apparel rental platform, headquartered in Hong Kong since 2014. The company offers over 150 top-tier international designer labels and thousands of fresh-off-the-runway apparel and accessories at as low as 3% of the retail price. Ladies can enjoy an unlimited wardrobe with dry cleaning taken care of — guilt-free and hassle-free. YEECHOO has gathered a fashion community of over 30,000 members in Hong Kong alone, and an even bigger crowd of followers on social media. After being funded by Alibaba in May 2016, YEECHOO is looking to expand in major Asian cities in 2017. YEECHOO is also an incubatee of Cyberport Foundation Programme. 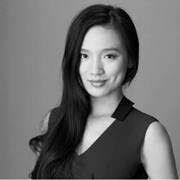 Prior to YEECHOO, Abby worked in investment banking with Citi in New York, Credit Suisse in Hong Kong, involved in numerous cross-border M&A in consumer, mining and financials sectors. In 2013, she successfully helped the U.S. Technology education startup General Assembly expand its Asia markets. She holds a Bachelor (Honors) in Politics & Economics from Georgetown University. When not working, you might find Abby skiing in Hokkaido, backpacking in Nepal or scuba diving in Australia. Jonathan is the founder and Chairman of FITCH Design HK, part of the global FITCH network, the world's leading brand and retail consultancy. Jonathan moved to Hong Kong in 2008 and founded StartJG which grew to become Hong Kong's leading brand consultancy, working for clients including Swire, Genting and Nord Anglia Education. In October 2016 WPP acquired a majority stake and the business changed its name to FITCH. Prior to moving to Hong Kong, Jonathan was a director of the London based Start Group who were responsible for the Virgin brand and many of the Virgin group companies. Jonathan is a director of CricketHK, the national sporting association responsible for Hong Kong's highest globally ranked sports team. He is a board advisor to Ethiopian fashion brand ENZI and also co-founded the Panda Paddlers which has grown into one of the world's largest dragon boat teams and which has mitigated a complete lack of success on the water by raising over $2m for the Cambodian Children's Fund. Karen Hay is the co-founder of the international design group Stickman Tribe, established in Dubai in early 2009 with business partner Marcos Cain, as a boutique style interior design consultancy dedicated to the hospitality & leisure industry. Stickman specializes in Interior Design and brand development for hotels, resorts, restaurants, bars and spas. After many years in the design business Karen has been involved with many international events as a guest speaker and has been honoured with numerous design awards. Karen advocates the importance of not only unique design but quality service and expertise. She has also recently been honoured as a Global Scot by the Scottish Development International to be an advocate of Scotlands outstanding products for the hospitality, textiles, and food and beverage industries, and to build their relations and promote development in the Asian market place. Nic has over 18 years of experience designing for the web and mobile - a career that has taken him from London, to Denver and now Hong Kong. 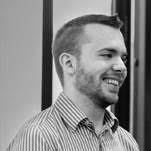 Working both in large and smaller, boutique digital agencies, he has enjoyed developing, mentoring and managing creative teams for the past 8 years, and was fundamental in helping grow agencies from a strategic and business development approach. Now the Creative Director for Manulife in Asia, Nic is helping to craft an in-house design thinking team and culture for the company that will help deliver a rapidly growing regional suite of customer-centric digital products. In his leisure time he is a passionate and competitive trail and ultra runner, freelance writer and journalist, and was a founding editor for Asia's first dedicated trail running magazine, Asia Trail. At his core he is a human-centric brand and digital advocate with a ♥ for meaningful design and all things digital and technology related. 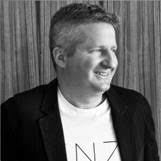 Henrik Hoeg is a specialist literacy teacher, public speaker and author. He is the director and emcee of Peel Street Poetry, an advisor to the Hong Kong Literary Festival and AFTEC's 'poet-in-education' for 2016. His first book 'Irreverent Poems for Pretentious People' was an awardee in the Proverse Prize 2015 and subsequently published in April this year. He recently emceed the 2016 TEDxWanChai event 'Crossroads', which was the biggest TEDx event in Hong Kong to date. By day he works at the Blurton Family Development Center teaching literacy to kids with special needs.